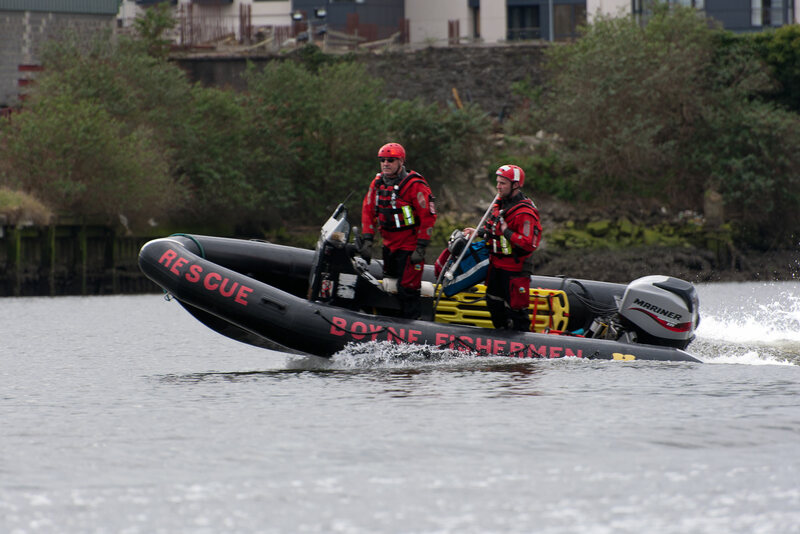 The Boyne Fishermen's Rescue and Recovery Service has 7 Fully inflated boats intact and on standby at our purpose built boathouse on the Marsh Rd in Drogheda. 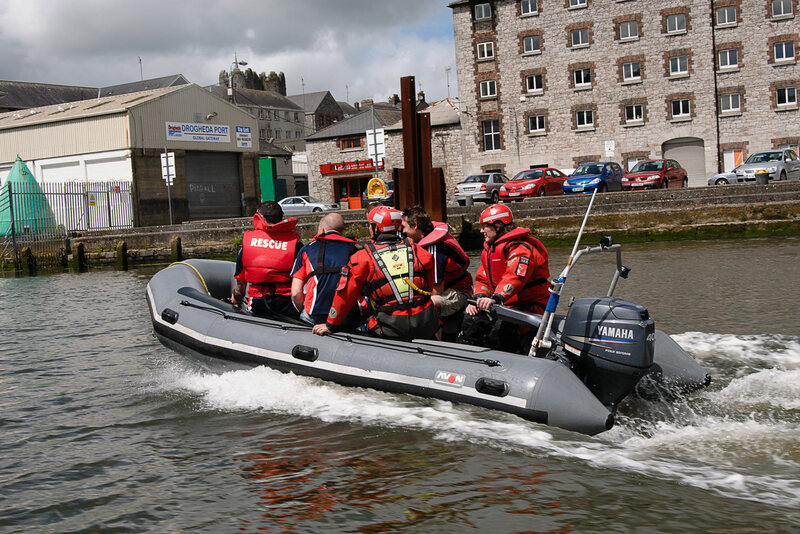 This Consists of two 5 metre Ribs ( Lough Conn and The Ferdia ) and a 7 metre Rib (Jordan) these can be used for all purposes wether it is providing cover for a water saftey event or responding to a incident either inshore or on the coast . 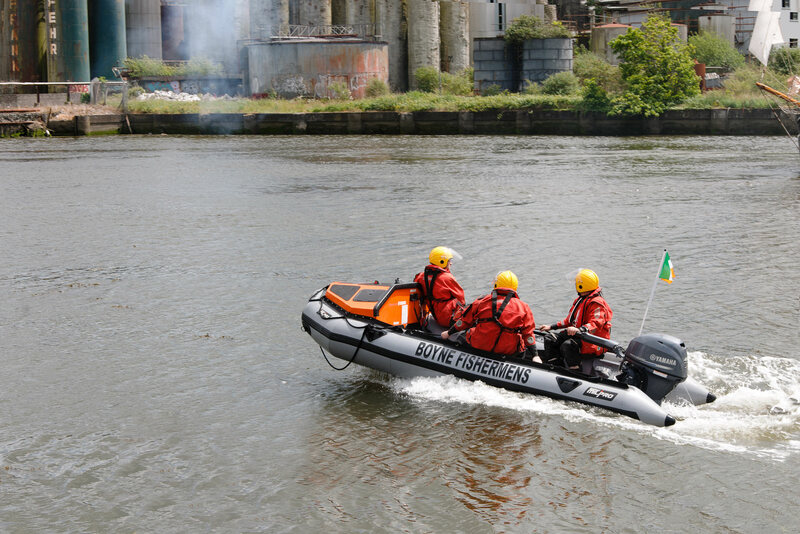 We also have four inflatables which are ( Lady Boyne ,Army boat and Dive boat) these inflatables are used for search and rescue operations throughout the 32 counties of Ireland and are good for accessing shallow areas with their flat bottoms as they do not require the same amount of water to work in as a rib would. 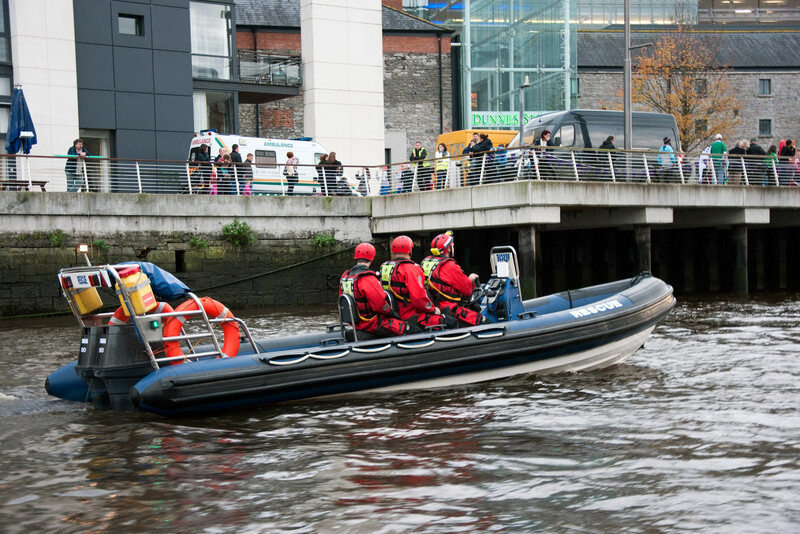 The fourth inflatable is called Lady Jane this 5 metre inflatable and acts as our inshore rescue boat which provides 24/7 rescue for the river Boyne which is accreditted to Irish Water Safety. 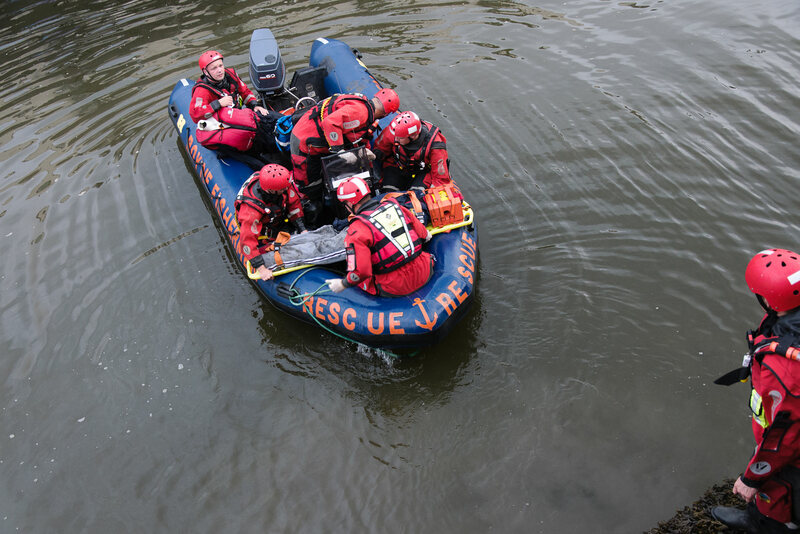 While we have these 7 boats based at our boathouse we also have 4 small tenders that can be transported and used in the smallest areas of water where a inflatable or a rib would not suit.